Kemper is a diversified insurance holding company with subsidiaries that provide an array of products to the individual and small business market. Kemper Personal and Commercial Lines sells Auto, Home and Package Plus policies through independent agencies. Kemper Specialty California sells personal Auto insurance in the state of California through independent agents and brokers to customers who may have had difficulties obtaining or maintaining insurance in the past. Kemper Direct sells Auto and Home by phone and online. Kemper also offers Life and Health Insurance through Kemper Home Service Companies and Reserve National. Kemper Corporation, with $8 billion in assets, is one of the nation’s leading insurers. 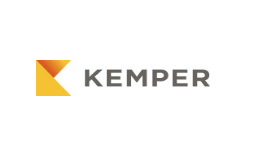 The Kemper family of companies specializes in property and casualty insurance and life and health insurance products for individuals, families and small businesses.